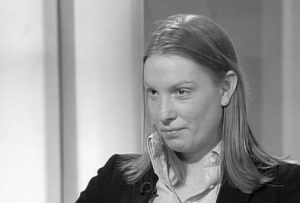 Tracey Crouch MP, the Minister for Sport, has warned the gambling industry that ‘goodwill alone’ ‎would not be enough to minimise gambling-related harm. Speaking at the Responsible Gambling Trust‘s third annual harm minimisation conference at the King’s Fund, London, Crouch paid tribute to the good work of both RGT and the gambling industry in working in conjunction with the government. Her speech followed a call to the industry, from the charity’s Chairman Neil Goulden, to ‘up their game’ and increase voluntary donations to the RGT. RGT requests ‎that industry donates 0.1% of Gross Gambling Yield to help fund education, treatment and research to minimise gambling-related harm.‎ Latest Gambling Commission statistics show that this should total approximately £9 million per annum. Voluntary donations to RGT totalled £6.5 million in 2014/15. Goulden told the conference: “Can I leave the following message for our industry colleagues – RGSB has set an ambitious programme of work for research, harm prevention and treatment and much depends on the industry contributing the amount requested by RGT – just 1p in every £10 of gross profit. Many operators are generous and go beyond what we ask but it is true to say a large number of operators contribute nothing and others short change the target.